Published on 06 April 2018 . 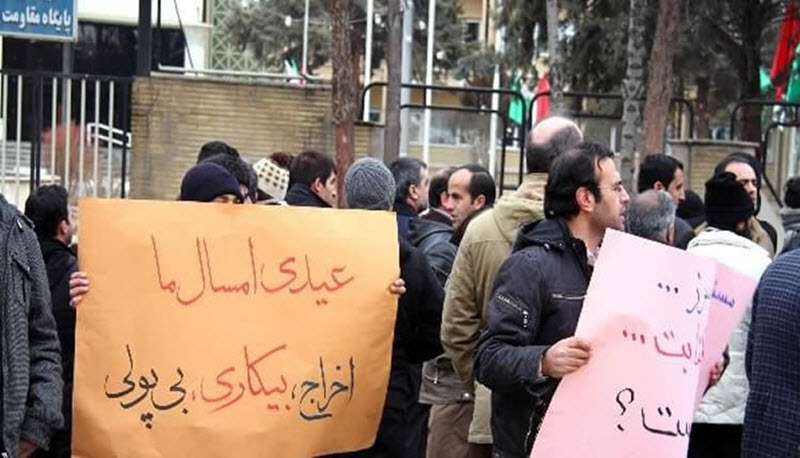 Dismissed workers of the Kesht-o Sanat Shomal vegetable oil factories complex gathered in front of the governorate of Miandorud (Mazandaran province) on Wednesday, April 4th, in protest of their dismissal. The director of this company, which is a major financier affiliated to the regime, was trying to dismiss 150 workers last year, which failed due to protests by the workers. 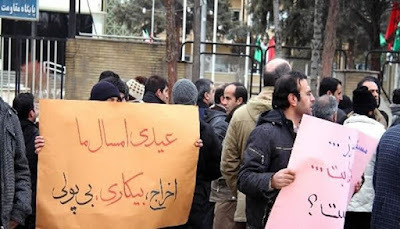 Recently and when the new Iranian year started, this company expelled 55 workers, with 13 to 21 years of work background, with no prospects for their re-employment. The Kesht-o Sanat Shomal vegetable oil factories complex, being the largest producer of liquid and vegetable oil, with 43 years of experience with a capacity of at least 1,000 workers and 750 tons of oil per day, was entrusted to government financiers in 2011under the guise of privatization. From then on, as a result of the plunderous policies of the corrupt administration, its situation has deteriorated day by day, and for years the deprived workers of this complex have been forced to work in a horrible situation. Javad Modallal, the plunder manager of the Complex, relying on the support of regime officials, including Minister of Industry, Mine and Trade, Mohammad Reza Nematzadeh, has earned astronomical wealth by getting huge loans from banks. Getting $ 650 million in loans with special facilities is just one item. He also has special ties with the Revolutionary Guards commanders and is supported by them. As long as this corrupt and plunderous regime is in power, workers and other deprived sections of the country will suffer from hard work and. The only way to get rid of the ominous system of Velayat-e faqih is to unite and solidify all the oppressed strata throughout the country.